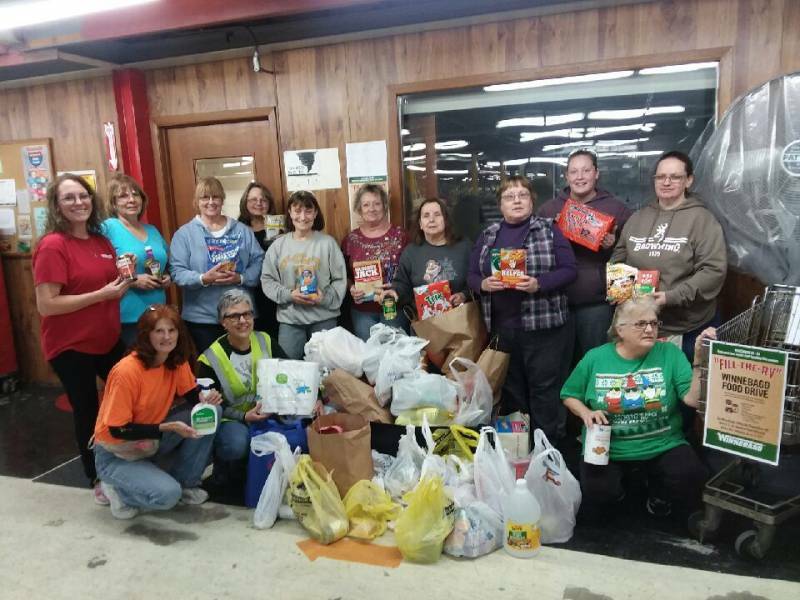 FOREST CITY, IOWA, December 20, 2018 - Winnebago Industries, Inc. (NYSE: WGO), a leading outdoor lifestyle product manufacturer, is proud to contribute 268,640 meals to our hometown communities through Fill-the-RV and Fill-the-Boat Food Drives organized by Winnebago, Grand Design and Chris-Craft employee volunteers across the country. The enterprise food and funds drive is an example of Winnebago Industries’ goal to mobilize our people to meet community needs. Community GO Teams, led by and comprised of Winnebago, Grand Design and Chris-Craft employee volunteers, championed the drive within the company. These teams engage their colleagues, foster connections and learning, and inspire action within the communities we call home. Through community engagement and nonprofit partnerships, Winnebago Industries and the Winnebago Industries Foundation seek to inspire new generations of outdoor enthusiasts, mobilize resources to reach people in need, and support our people to build strong communities where we work, live and explore. Our community investments focus on three impact areas: outdoors, access and community. WOW! Good for them. Have a Merry Christmas and Happy New Year! My wife and I had the pleasure of a tour of the Winnebago factory this Fall and the positive attitude and pride of workmanship was alive and well there.